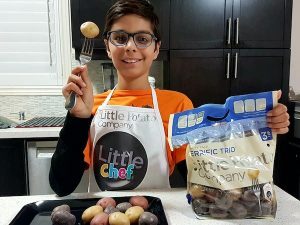 Little Chef Arnav shares one of his favourite recipes: Little Potato Manchurian! Try it with your own Little Chefs. In a mixing bowl, mix all dry ingredients and water to make the batter. 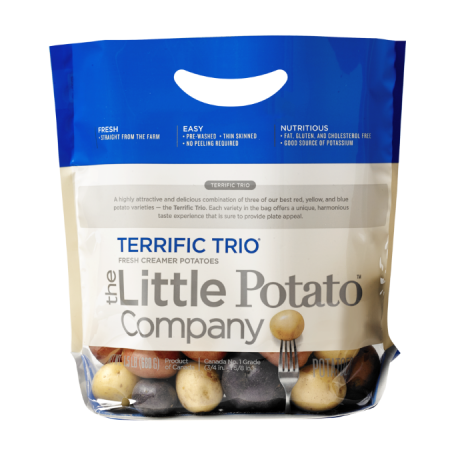 Coat Little potatoes in the batter. Fry the potatoes in oil, and drain the excess oil on paper towel. In a separate skillet, saute minced garlic, green chilli peppers, and onions in preheated oil. After onions turn translucent, add salt, all the sauces, and vinegar. Cook for couple minutes. Add cornstarch and water mixture and cook it well. Add water and cook on medium heat for two minutes to bring everything together. Lastly, add fried potatoes to the sauce. Mix well. Garnish with spring onions.